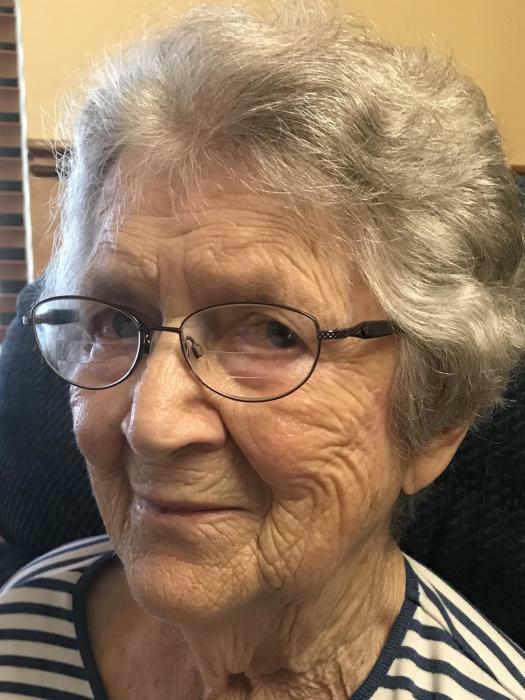 Marilee Jane Trudgen, 88, of Metamora, formerly of Pekin, IL passed away at 3:35 am on Thursday, April 11, 2019 at Snyder Village in Metamora. She was born on September 18, 1930 in Peoria, IL to Lee Cheney and Zelda Mozzeta (Fincham) Myer. She married William Witham Trudgen on August 3, 1951 at Westminster Presbyterian Church in Peoria, IL. He passed away on October 8, 1985. Surviving are her son James Trudgen of Florida; daughter Angie (Jim) Sammon of Eureka, IL; and grandson Michael Sammon of Orlando, FL. She was preceded in death by her parents and sister Jean Chronic. Marilee enjoyed gardening and her home. Cremation Rites have been accorded. A Memorial Service will be held at 11:00 am on Wednesday, April 17, 2019 at Swan Lake Memory Gardens Chapel in Peoria with Reverend Bradley Watkins II officiating. Inurnment of ashes will be in Swan Lake Memory Gardens. In lieu of flowers, memorials may be given to St. Jude Midwest Affiliate, 530 NE Glen Oak Avenue, Peoria, IL 61637 or Willow Hill United Methodist Church, 304 East Far Hills Drive, East Peoria, IL 61611. Online condolences at www.masonfuneralhomes.com.